IMCA/TER a wide variety of Evidence maintenance and storage services. 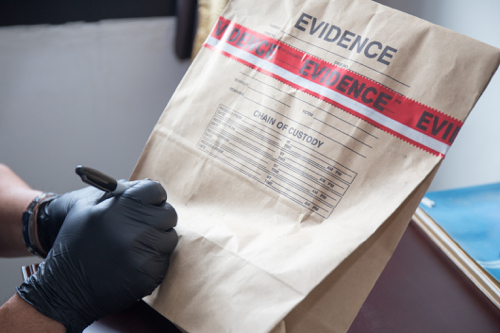 In any particular legal case, the most important part of a case can be the evidence and making sure the evidence is stored and handled in a proper way. IMCA/TER offers a wide variety of evidence storage and maintenance that is based upon legal protocol and standards so that the evidence is ready for inspection and/or trial. Chain of custody trial to documents dates, times and which party received examined or handled the evidence until the time disposal. TER then scans into inventory the evidence and it is sealed a marked container and cataloged. TER will then make periodic checks and inventory controls to make sure that the evidence is maintained and cared for in a proper way. All of this done at one of IMCA/TER’s evidence facilities which are temperature controlled and security controlled so that no one except certified inspectors have access to the evidence. Custom Storage Available Based Upon Size and Weight.